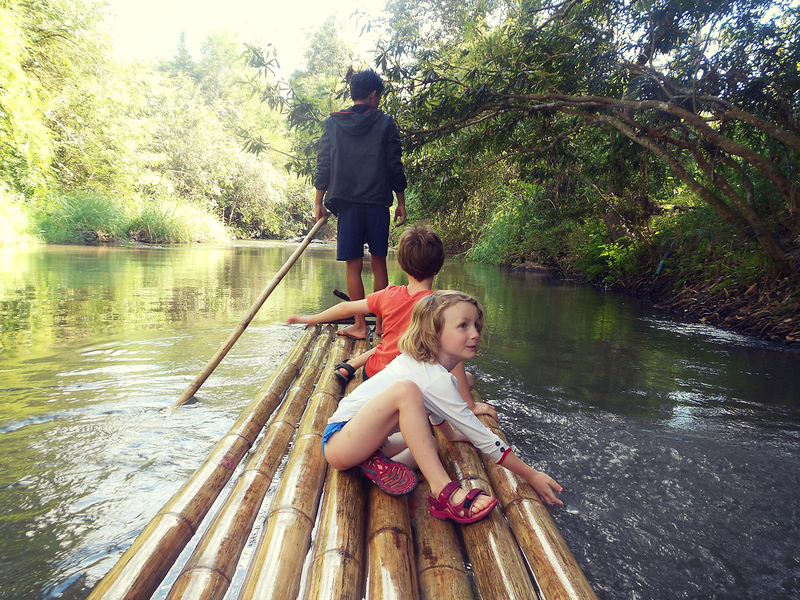 Dreaming of long term family travel adventures? 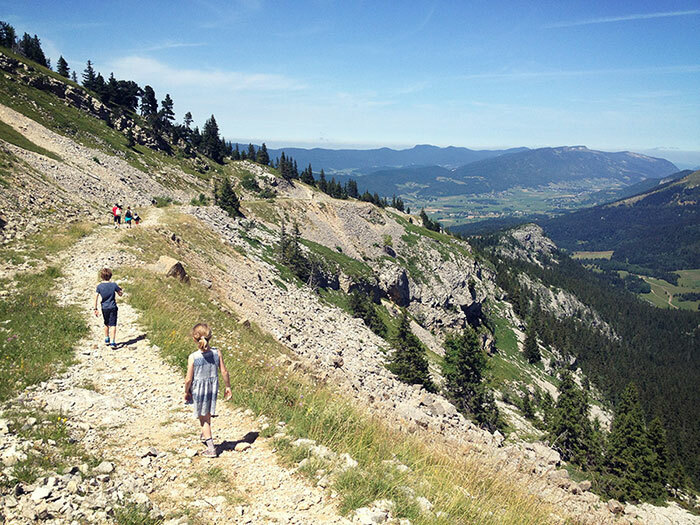 Do you thumb though travel magazines wondering if you could take time out of your regular life to show your kids the world or immerse them in a totally new culture? Or even of moving into a nomadic lifestyle? Travel exposes us to a whole host of new experiences and challenges, and within that are great opportunities for children to learn important life skills such as self reliance and adaptability. There are cultural diversities to understand and a world of different environments to explore. 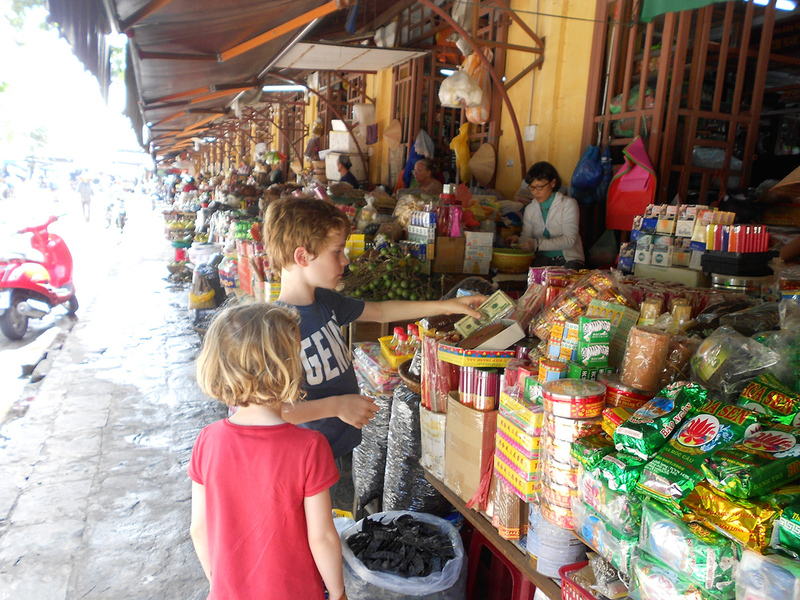 When you immerse in a different culture the lessons learned leave a lasting impression. Travel undoubtedly helps to nurture a tolerant and adventurous spirit, no more so than in children who absorb those experiences like sponges. 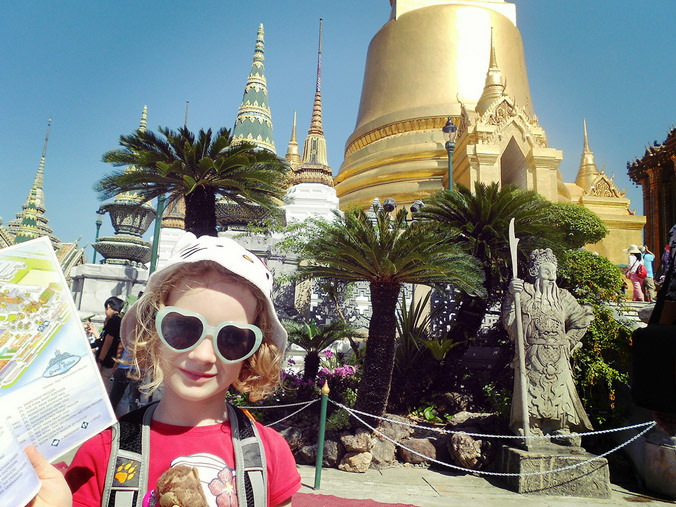 Longer term travel with kids doesn’t need to be about seeing the greatest sights and ticking them off your bucket list. Simple things like a trip to the market or catching a train can be a real adventure when you’re a long way from home. It’s the surprising and small things that will stick in their memories, like feeding a swarm of greedy catfish or the sound of jungle cicadas. More families these days are talking about long term family travel and how to make it accessible within the constraints of jobs, school and financial limitations. Ok so it’s a complex issue, but here are a few things you might want to think about. For many people there seem to be four major stumbling blocks to overcome. They are not the same for everyone, and the degree of challenge to surmount these will vary from case to case. But below I’ve listed a few ideas for each potential obstacle that might help you start thinking ‘Ok maybe this isn’t completely impossible…’ Think of it as a starting point. I’m going to try and knock down a few walls for you! 1. What about work during long term travel? Maybe you work from an office, but could your work be portable? More companies than ever are willing to consider flexible working. Technology is such that many jobs can be conducted from pretty much anywhere there is good wifi. Or if you have some savings it might be worth speaking to your boss about their policies on extended time off. Some companies are more open than you might think to allowing a career break. In theory you will return destressed, inspired and more productive! Of course you need to carefully weigh up the risks. If you go for a long time there is no guarantee that your company will hold open the same job for you. A lot depends on your work situation, but it doesn’t hurt to speak to the HR department if there is one, or put out some feelers to find out what your employers policies are (if they have any). Are you happy in your job? If you’re thinking of a change of direction or employer, then this could be the perfect time to slot in some extended travel! Or could you lump all of your holiday together or exchange overtime for additional leave? Perhaps you have useful skills which would help you to pick up odd jobs or freelance as you travel? If you are self employed do you have a trusted partner who could take care of business while you are gone? Or is your business portable? There are a growing tribe of digital nomad families who work from around the globe whilst funding a travel lifestyle and there are digital nomad hubs in a growing number of cities worldwide. If you own your home the best option may be to rent it out. That would potentially pay the mortgage while you are away and maybe even leave you a little cushion for your return. If you’re going for a couple of months and just need someone to feed/walk the cat/dog/goldfish maybe consider taking on a free house sitter. Websites like trustedhousesitters.com are a place where homeowners can access hundreds of housesitters (with reviews from other homeowners) who are happy to come and look after your pets in exchange for free accommodation. In fact if you are looking to travel on the cheap this is something you could consider doing for others whilst travelling. There are also websites which offer home exchanges such as www.homeexchange.com which can effectively kill two birds with one stone and allow you to enjoy free accommodation abroad and a house sitter for your home. Certainly worth considering! It might take you a while to get there, and long term travel might not be an option for everyone, but if you’re fortunate enough to be able to afford a few simple luxuries (think about that regular latte, the bottle of wine on a Friday night, trips to the cinema/meals out) then you might be surprised by how much you can squirrel away in a year by skipping the treats. Not much fun admittedly, but it’s an interesting test of your commitment to your travel dream… what might you be prepared to sacrifice? Could you sell some excess stuff or trade in old books/CDs/games? I expect most of us could dig out a few items of some value… think wedding dresses and designer clothes, unwanted fitness equipment or furniture you don’t really need. Most of these things won’t raise a huge amount, but over time lots of small trickles of cash can fill the pot. Or maybe you could consider downgrading your car? Swopping a 2 year old 4×4 (if you’re lucky enough to have one!) for a 4 year old estate car could boost your fund substantially. There are also many opportunities for creating additional income streams… start thinking creatively! Maybe you could take on extra temporary work, sell on ebay or amazon, become a coach or tutor in your field of expertise? Start selling your craft creations, create an online course, take in a lodger… play to your strengths, think about what skills you have and keep your goals in mind. This depends very much on when and for how long you are thinking of going. 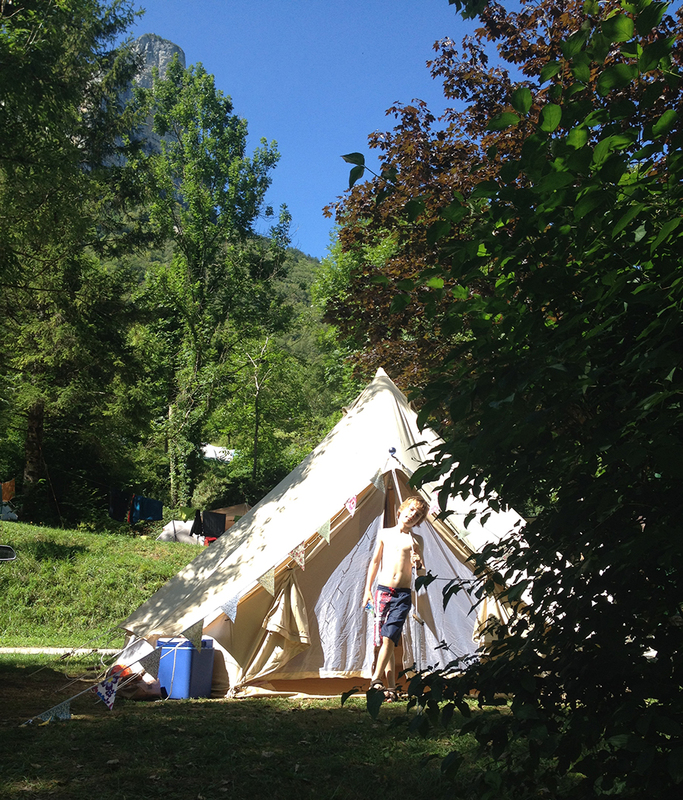 If you are planning 6 weeks touring Europe in a camper van during the summer then you’re set with the summer holidays! But trips to the southern hemisphere may be better taken in the European winter, so then time out of school needs to be carefully considered. Start by speaking to your head teacher to find out their views. Unfortunately the British (and many other education departments) take a dim view on extended time out of school no matter how educational the experiences may be. Heavy fines can be imposed so do your research before you go. You might need to take your kids out of school and educate them yourself if you are travelling for an extended period. Find out how easy it would be to re-enroll on your return. Is there a waiting list? Whilst you are travelling there are many mind boggling options for educating your kids… from homeschooling (which can closely follow your country’s curriculum) to worldschooling and even unschooling (which very roughly speaking is child-led learning)… again it’s worth doing serious research beforehand and making a plan as to what you might think would work best for your family. But bear in mind it might not work out how you initially plan, and be prepared flexible in your approach! There are tons of resources available online to help you understand the home educating options better, as well as great communities on Facebook where you can talk to and get advice from other travelling families. There are podcasts and blogs full of inspiration and advice from people who are travelling with their families. At the end of the post I will list some great resources I’ve found helpful and inspiring along the way. 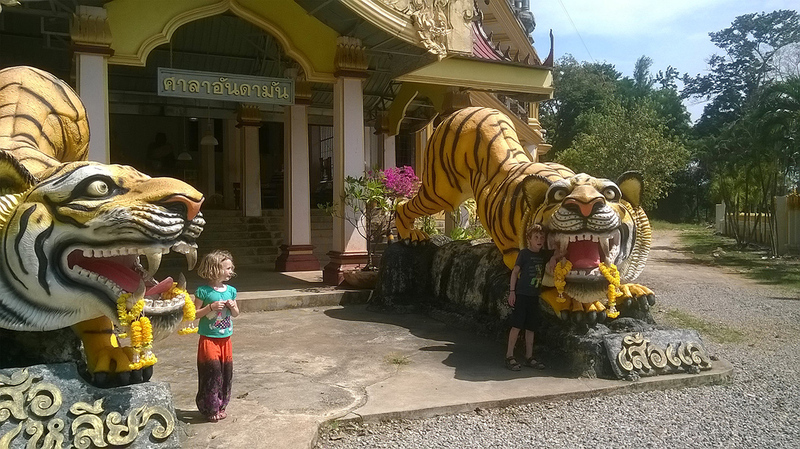 At the end of 2015 we embarked on a family trip for 2 months to SouthEast Asia. It was an amazing adventure, fun and challenging in equal measure! We travelled around parts of Thailand and Vietnam, and spent a few days in Hong Kong. We went with friends who have children of similar ages, which was great fun for the kids. My good friend Nat and I funded the trip by creating a new income stream and working together on it for over 18 months. It was a proud moment when we accomplished our target and booked the flights. The process inspired and proved to me that it’s not impossible to pursue a dream that maybe seems out of reach. In fact I hope to create more opportunities for similar experiences as our family grows. 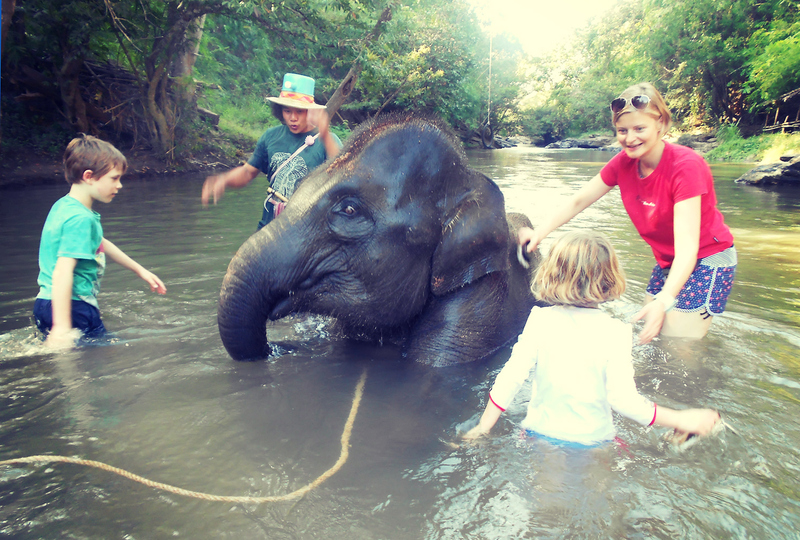 On that trip we climbed rocky mountain paths, snorkelled, fished, rode mopeds, tuk tuks and overnight trains. The unique scenery and wildlife encounters contrasted with colourful streets and vibrant culture in the cities. 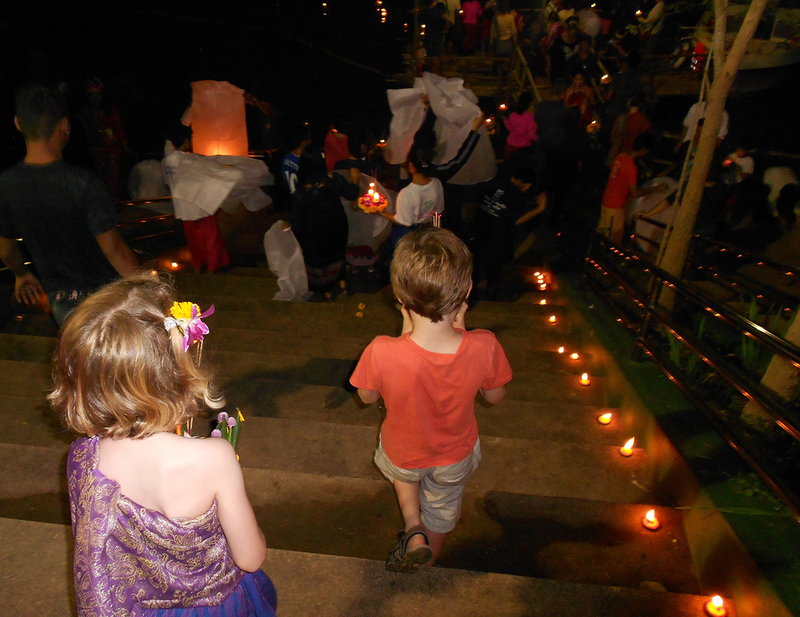 We celebrated Loy Krathong with the kids at a Children’s Shelter in Thailand, helped teach an English lesson in Vietnam, had a Vespa adventure in Hoi An, bathed an elephant in Chiang Mai and throughout met wonderful, friendly people. We shared some awesome experiences we will never forget and that’s why I hope to inspire others to take on this kind of adventure. The whole trip was a great educational opportunity which our kids still talk about regularly, and which (in my humble opinion;) surpassed anything they could have learned sitting in a classroom during that time. And although the intense time spent together as a family was at times exhausting and stressful, ultimately it was a precious gift. So… whilst I have really only scratched the surface in addressing the issues here, if you have a real passion for a family travel adventure, an itch that needs to be scratched, don’t let doubts and fears creep in and steal that dream. There is never a perfect time when everything will fall into place magically, and if you wait for that time you will probably never go. If you want to manifest something special start moving towards that goal now. Show the Universe you mean business and take the first steps that will set you on the path to your big adventure. Even by beginning the planning process you are creating that magical universal energy that will eventually bring it to fruition. The only down side is that it will probably leave you wanting more. Or maybe that’s an upside? Either way, get inspired and ride that wave! www.nomadtogether.com – Awesome facebook group you can join if you’re considering a location independent lifestyle! Get Your Outdoors On Going Family Camping! If you buy through my affiliate links it helps me out. I’ll probably spend the small commission on this blog, or maybe tea/wine (delete as appropriate according to time of day). I only link with products I think are genuinely awesome! Good to meet you, I’m Chloe. Join our mission to become more adventurous! 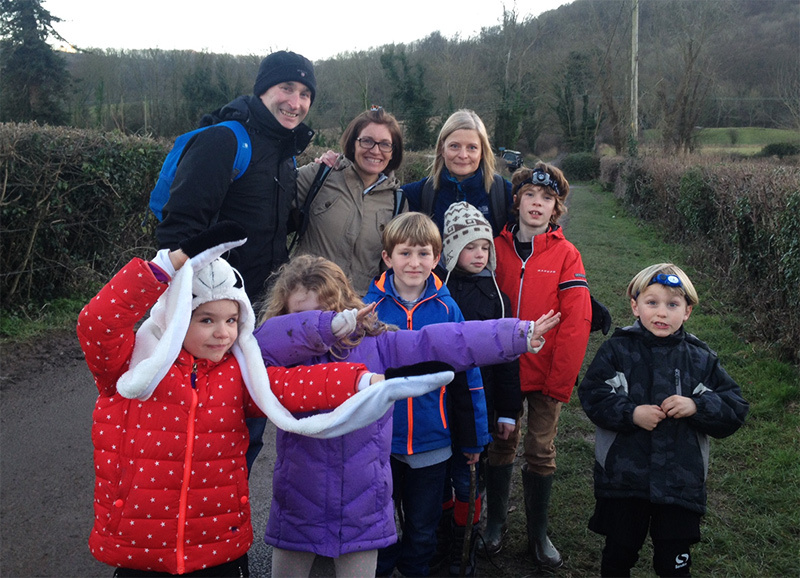 This blog is about simple family adventures, family travel and making the most of today. We want to get out there and challenge our limitations! I hope you will find here a growing hub of encouragement and useful information to help motivate and inspire you to go and create more of your own micro or indeed great big adventures, travel stories and treasured family memories.